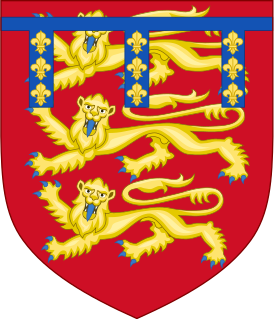 The Ordinances of 1311 were a series of regulations imposed upon King Edward II by the peerage and clergy of the Kingdom of England to restrict the power of the king. [a] The twenty-one signatories of the Ordinances are referred to as the Lords Ordainers, or simply the Ordainers. [b] English setbacks in the Scottish war, combined with perceived extortionate royal fiscal policies, set the background for the writing of the Ordinances in which the administrative prerogatives of the king were largely appropriated by a baronial council. The Ordinances reflect the Provisions of Oxford and the Provisions of Westminster from the late 1250s, but unlike the Provisions, the Ordinances featured a new concern with fiscal reform, specifically redirecting revenues from the king's household to the exchequer. Edward II, also called Edward of Carnarvon, was King of England from 1307 until he was deposed in January 1327. The fourth son of Edward I, Edward became the heir apparent to the throne following the death of his elder brother Alphonso. Beginning in 1300, Edward accompanied his father on campaigns to pacify Scotland, and in 1306 was knighted in a grand ceremony at Westminster Abbey. Following his father's death, Edward succeeded to the throne in 1307. He married Isabella of France, the daughter of the powerful King Philip IV, in 1308, as part of a long-running effort to resolve tensions between the English and French crowns. Thomas, Earl of Lancaster and Leicester was an English nobleman. A member of the House of Plantagenet, he was one of the leaders of the baronial opposition to his first cousin, Edward II of England. Purveyance is the right of the Crown to requisition goods and services for royal use, and was developed in England over the course of the late eleventh through the fourteenth centuries. 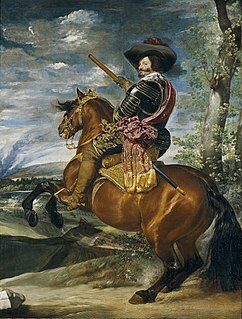 In theory, the king's prerogative allowed him to collect goods needed for both household and military use, but the latter was discontinued in 1362. The primary problem with the system was that it was open to abuse from corrupt officials, who would often requisition goods and sell them for profit or use extortion and other means to obtain items or money that was not passed on or divulged to the king. Accordingly, English kings established numerous, though somewhat ineffectual, statutes in an attempt to limit the corruption. Lord Lieutenant of Ireland was the title of the chief governor of Ireland from the Williamite Wars of 1690 till the Partition of Ireland in 1922. 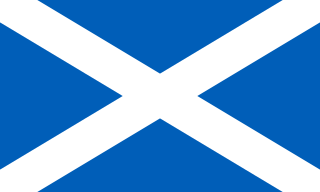 This spanned the Kingdom of Ireland (1541–1800) and the United Kingdom of Great Britain and Ireland (1801–1922). The office, under its various names, was often more generally known as the viceroy, and his wife was known as the vicereine. The government of Ireland in practice was usually in the hands of the Lord Deputy up to the 17th century, and later of the Chief Secretary for Ireland. Although in the Middle Ages some Lords Deputy were Irish noblemen, only men from Great Britain, usually peers, were appointed to the office of Lord Lieutenant. a. ^ The Oxford English Dictionary defines an "ordinance" as of "narrower scope, less permanent nature, or less constitutional character than a law or statute." The use of the word "new" ("novo") is not to be understood in the sense that the Ordinances replaced an earlier set of ordinances. ↑ Prestwich, 178–9; Maddicott, 72–3; Phillips, 26–8, with full text and translation: 316–7. ↑ McKisack; 4–6, Prestwich, 179. 1 2 3 4 5 McKisack, 10. ↑ Prestwich, Michael (1988). Edward I. London: Methuen. pp. 40–1. ISBN 0-413-28150-7. 1 2 3 McKisack, 9. ↑ The full text of the Ordinances can be found in English Historical Documents III, pp. 527–539. ↑ Prestwich, 182–3, McKisack 12–7. ↑ Article 14. See also article 15, 16, 17, 26 and 27. ↑ Articles 9, 30 and 29. ↑ Articles 4, 5 and 8. ↑ Articles 22 and 23. ↑ Articles 6, 18, 19, 31, 33, 38 and 41. ↑ Articles 1 and 12. ↑ Articles 3 and 7. ↑ Stubbs, William (1877). The constitutional history of England, v. ii. Oxford: Clarendon. p. 346. ↑ Simpson, J.A. and Weiner, E.S.C. (eds.) (1989). Oxford English Dictionary , 2nd edition, vol. X, p. 911. Oxford: Clarendon. ISBN 0-19-861186-2. ↑ Oxford English Dictionary, vol. X, p. 901. ↑ Chaplais, P. (1994). Piers Gaveston: Edward II’s Adoptive Brother. Oxford: Clarendon Press. ISBN 0-19-820449-3. OCLC 180047702. ↑ McKisack, 10; Prestwich, 182. ↑ Prestwich, 182; Maddicott, 112–3. Robert Winchelsey was an English Catholic theologian and Archbishop of Canterbury. He studied at the universities of Paris and Oxford, and later taught at both. Influenced by Thomas Aquinas, he was a scholastic theologian. Andrew Harclay, 1st Earl of Carlisle, alternatively Andreas de Harcla, was an important English military leader in the borderlands with Scotland during the reign of Edward II. Coming from a knightly family in Westmorland, he was appointed sheriff of Cumberland in 1311. 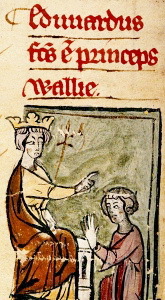 He distinguished himself in the Scottish Wars, and in 1315 repulsed a siege on Carlisle Castle by Robert the Bruce. Shortly after this, he was taken captive by the Scots, and only released after a substantial ransom had been paid. His greatest achievement came in 1322, when he defeated the rebellious baron Thomas of Lancaster at the Battle of Boroughbridge on 16–17 March. For this he was created Earl of Carlisle. Guy de Beauchamp, 10th Earl of Warwick was an English magnate, and one of the principal opponents of King Edward II and his favourite, Piers Gaveston. Guy de Beauchamp was the son of William de Beauchamp, the first Beauchamp earl of Warwick, and succeeded his father in 1298. He distinguished himself at the Battle of Falkirk and subsequently, as a capable servant of the crown under King Edward I. After the succession of Edward II in 1307, however, he soon fell out with the new king and the king's favourite, Piers Gaveston. Warwick was one of the main architects behind the Ordinances of 1311, that limited the powers of the king and banished Gaveston into exile. The Treaty of Leake was an agreement between the "Middle Party", including courtier adherents of Edward II of England, and the king's cousin, the Earl Thomas of Lancaster and his followers. It was signed at Leake in Nottinghamshire on 9 August 1318. The treaty was meant to reconcile the King and his favourites with Lancaster and other baronial opponents. Central to the negotiations were Aymer de Valence, Earl of Pembroke, Humphrey de Bohun, Earl of Hereford and various prelates. Wilkinson, B. (1944). "The coronation oath of Edward II and the Statute of York". Speculum . 19 (4): 445–469. doi:10.2307/2853482. JSTOR 2853482. Post, G. (1954). "The Two Laws and the Statute of York". Speculum . 29 (2): 417–432. doi:10.2307/2853960. JSTOR 2853960.